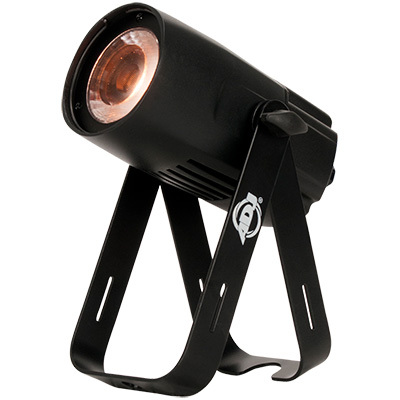 Co-engineered with ADJ, the Philips MSD Platinum 5R discharge lamp is the nucleus of the Ninja 5RX. 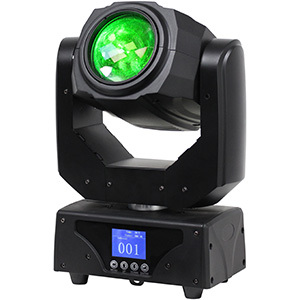 Fusing this powerful source with tilting mirrors and a tight 5-degree beam angle, the unit offers unrivalled levels of brightness and is able to shoot out cutting beams of pure white or coloured lighting at every angle imaginable, ensuring an energized display of multi-beam effects with the power to fill entire rooms. 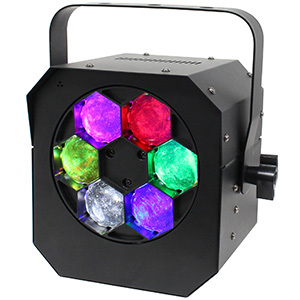 Across its independent colour and GOBO wheels, users have 15 colours to choose from (including less common hues like hot pink, vibrant orange, turquoise and purple) as well as an impressive range of 17 GOBOs. 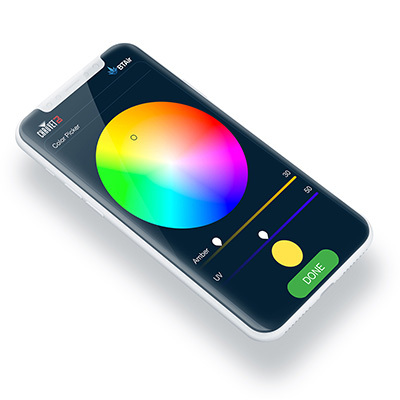 Furthermore, users can select from three open GOBO settings, each of a varying size (1.5mm, 4mm and 7mm), allowing different-sized beams to be created including a super-tight spot. 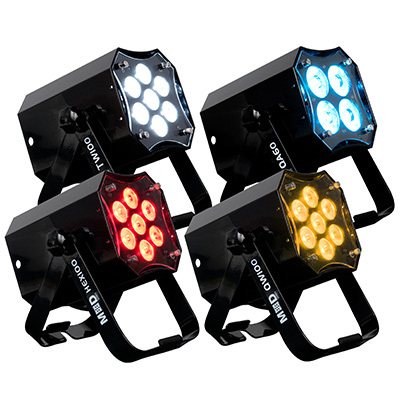 In terms of control, the Ninja 5RX offers users a choice between three operational modes: Show, Sound Active and DMX-Controlled. 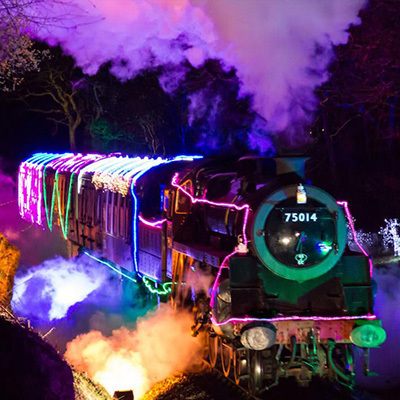 For those DJs looking to create something highly effective without the need for complex programing, the Show mode features 12 built-in lightshows, each with its own unique qualities for giving guests a night to remember! 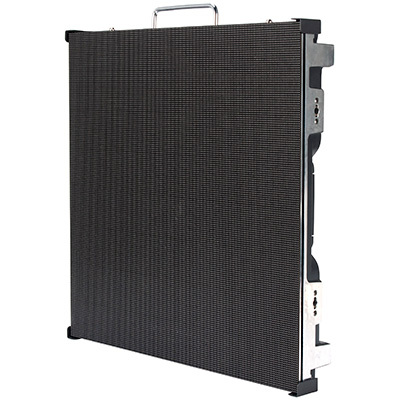 Ideal for use by mobile DJs, these pre-set displays are also utilized by the unit’s Sound Active mode, which shoots out colourful beam effects in time with music. 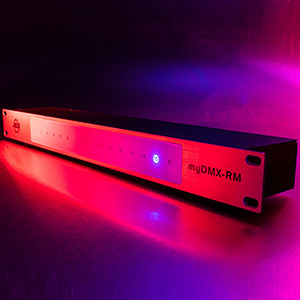 For more in-depth control, the DMX mode gives users access to 1-, 10- and 13-channel DMX modes, allowing them to produce spectacular customized displays of powerful multi-beam effects that can be tailored to meet the requests of a client or venue. ADJ has also ensured that the Ninja 5RX is compatible with its separately sold UC IR wireless remote, as well as with the innovative new Airstream IR app, which enables control of primary settings and effects from the screen of any iOS device. Easy to store, transport and install, the fixture weighs in at just 10kg and measures 340 x 313 x 333mm! 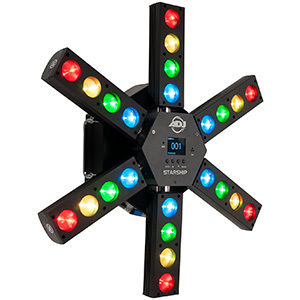 Ideal for mounting onto truss totems either side of a DJ booth or stage, users can also daisy-chain the power for up to five Ninja 5RX units at 230V for a more expansive lightshow. 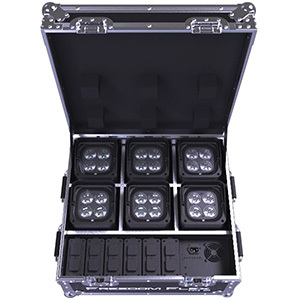 Flexible, unique and powerful enough for use in bigger rooms, the Ninja 5RX is another pioneering product from ADJ!